There's a rich symbiotic relationship between travelers and local hosts. When people lend their couches and welcome a traveler to their home, they have the opportunity to meet people from all over the world. Travelers are able to not just find cheap accommodation but experience first-hand the local life of the hosts. It's such a wonderful form of cultural interaction. 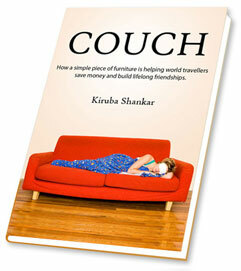 With the increase of globalization and individualization, the concept of sharing couches brings people together. When people from different cultures connect with each other, a very positive thing happens. It opens our eyes to diversity and it makes us embrace, respect and appreciate the differences in us. The appreciation of diversity spreads tolerance and creates a better global community. That's exactly the spirit that this book celebrates.